Gravatar Account - How to Use in WordPress & Benefits to Get One Now! Home » Social Media Marketing » Gravatar Account – Build Trust & Credibility Among Audience! I was going to publish out a post concerning on how to stop self-pings from an own domain. However, due to some of the latest comments on one of my post forced me, to make people aware of the importance of having a Gravatar account! Whenever you stop by a post or an article to comment..
..you might have noticed images of other people who have commented as well as a default Mystery Man picture too! Now, which of these pictures do you prefer to show up next to your comment? I bet you might have chosen to be yours! 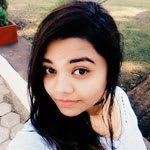 Whether you are a newbie to WordPress or an expert who has not yet set or removed a Gravatar image! How to set up a Gravatar account? 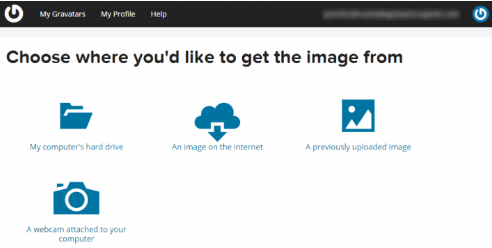 How can you set a Gravatar image in WordPress? 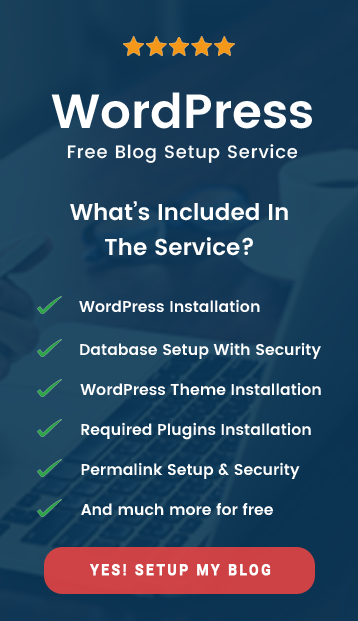 6 Reasons on why should you start using it Right Away? What is Avatar and Gravatar? You all might be aware of the term Avatar which is a picture, icon or image used to represent a person or a business. Now, Gravatar stands for Globally Recognized Avatar (G+R+Avatar) which is bound to an email address. 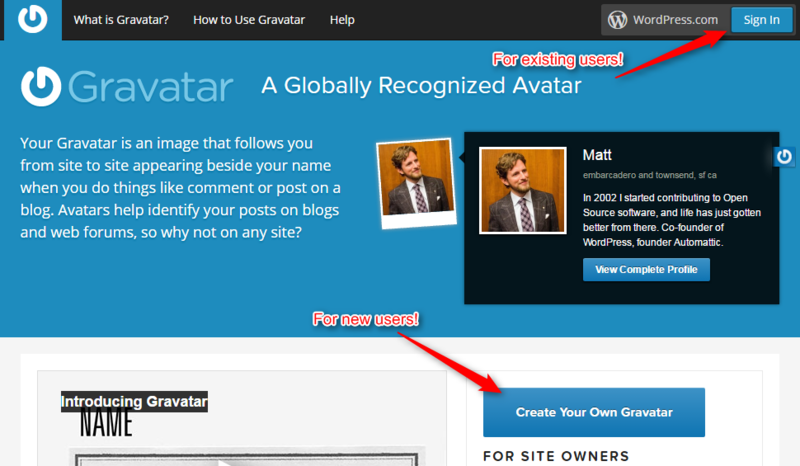 WordPress and frameworks like Genesis which uses User Profile Widget to pull out your image from Gravatar account. Ultimately, a gravatar follows you site by site wherever..
..you comment or post an article or use an email address associated with gravatar account. It helps you to get recognized by millions of people..
..which in return help you to build trust and creditability among them. 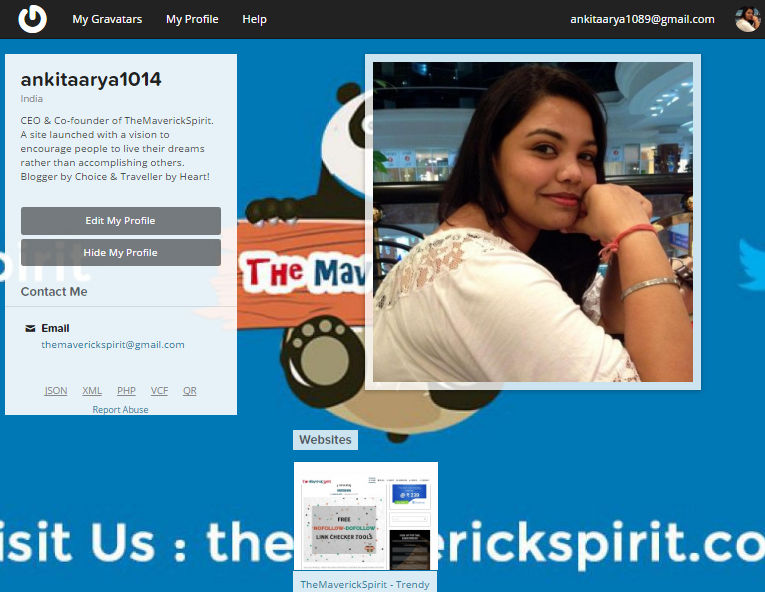 If you want to show your image beside your comments on blogs then..
Head on to official Gravatar website here. 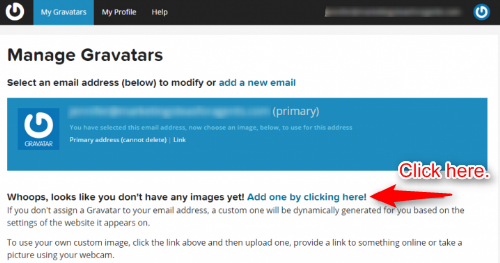 If you don’t have a WordPress.com account then create one by selecting “Create Your Own Gravatar” button..
..you only need an email address and a password! Once you have confirmed your account, Sign in to start the process of creating Gravatar. Click the link! In the new message window, where you will be prompted to choose your image. Select the option of your choice and hit Next. Once you are satisfied click “Crop and Finish” button to move on to next step. Now choose a Rating for your Gravatar image..
..You have 4 options to choose from. I prefer you to always select G which is suitable for all the websites and any type of audience. This is the final step! Where a message says that your Gravatar with an associated email address is set. You can add multiple email addresses..
..that mean separate images can be attached to each email. You can manage this under Manage Gravatars section! You Are All Set To Rock The Internet Now! Once you are done with setting up a Gravatar profile. It’s time to tell people more about you! Move on to My Profile tab and fill in the details as needed. You will be prompted 7 fields to fill in. 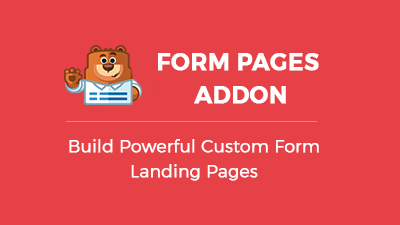 I will prefer that you fill these fields for sure – Name and Details, Websites, Background, Contact Information. I know you may feel lazy to fill in each detail and probably would skip this! But trust me, I am going to share a picture which will motivate you to get your Profile done! 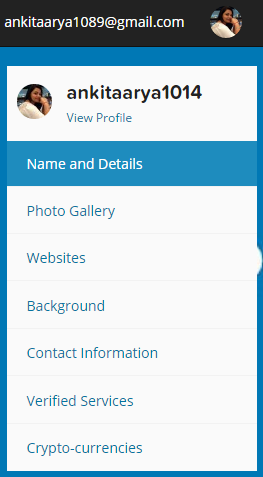 This is the page which will displayed to anyone once they fall on your Gravatar profile. Many users who use Hovercards in their WordPress site displays a short bio when they hover over the profile picture. To see the difference between having a well-settled profile and one with just the image. If users liked your bio they will locate your Gravatar account..
..and ultimately will get to know about all your networks or business profiles at one place! If you are reading this I know you might have understood the power of having a Gravatar account by now! Professionalism and Branding to your website. Gives a great chance to build your name..
..in front of millions of people and to get your profile featured on various websites. If you are a frequent and a genuine commentator..
..people will follow your comments, profile, and your work. You gain Trust and Credibility among the audience..
..As people would know that you are a genuine person who is sharing his/her thoughts! 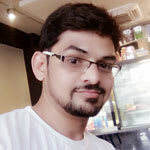 You can easily update your profile images..
Use profile widgets – as used by Genesis and JetPack..
..display a Gravatar image along with a short bio beside your name. Comment below so that I can see your lovely images are working fine! 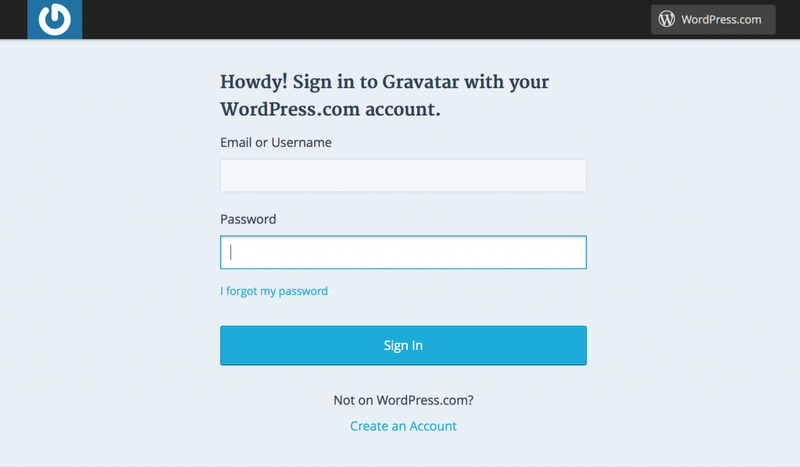 But, if you already have a Gravatar account set in WordPress.. I still can’t see your Gravatar. Maybe it is taking time to update. 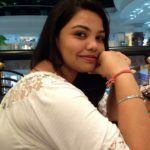 I am guessing it would be wise to look into what Gravatar can bring me as a blogger! I thought I set up my gravatar, but I need to check again. Great article! Thanks for posting this. I think… I have a gravatar…. Good article. This is great, I found gravatars so confusing before! I will be pinning this for my blogging friends for sure. Hope, it helps your friends to set up their Gravatar Accounts. This drives me insane when people don’t link their gravatar. I appreciate the readership but it’s kind of hard for me to go check someones site out if they don’t connect it. Every single opportunity to get discovered through Garavatar, can turn out to be a big deal! Good advice! 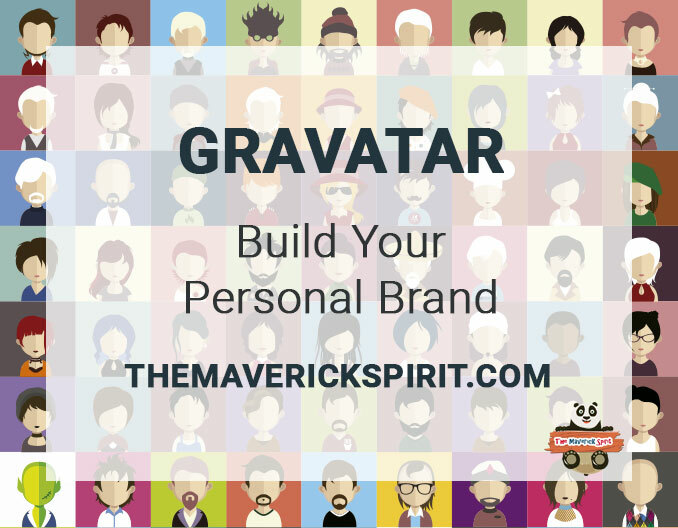 Gravatar is a great tool for helping with recognition and branding. I’ve been using Gravatar for a long time. It’s so easy to set up, and you’ve done a great job with this tutorial. Hope people who haven’t set up Gravatar understands it’s importance and has one for themselves! This is a really cool concept from a branding perspective. Bloggers and businesses alike all work to be recognized instantly and it seems like this account would be instrumental in that. This is the first time I have heard of Gravatar. I am going to look into it. That’s an awesome guide to bookmark. I created my gravatar such a long time ago and I didn’t remember the exact step-by-step. Now that I want to create a different one for a new website, this is a great help! I need to set up a Gravatar account. It sounds like there a bunch of perks to having one. Thanks for the great info. I have a Gravatar, but I haven’t ever really did much with it. I am going to have to do more with it. Super helpful! 🙂 Thanks for the detailed instruction. I’ve used gravatars for years. I wish everyone would get on board finally!